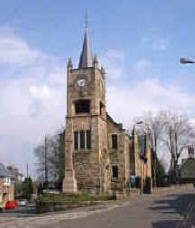 Over the past years this website has provided many visitors with a virtual window of Cambusbarron village. Many visitors to the website have commented on how it has rekindled their own childhood memories of the village. Some have even managed to trace their relatives and friends through the website and have thereafter returned to the village for a visit or just to renew old acquaintances. In addition to offering visitors an insight to Cambusbarron the website offers a portal to the World Wide Web for the local community, organisations and small business in or around Cambusbarron. You can contact any of our local business by visiting the "Local Businesses" link in the margin. Please feel free to browse through the website by using the other links shown on the left margin. If you once resided in Cambusbarron and are now overseas and would like to contact a long lost relative or friend, living in Cambusbarron, you can email your details to us using contact form on or "Contact" page. We will make every effort to help you trace your lost friends or relatives. Thank you for visiting this site, we trust that you will enjoy browsing. GILLIES HILL: ABOUT TO BE BLASTED AWAY? The beautiful and historic landscape of Gillies Hill, the preservation of which so many have fought for so long, has never been more at risk of destruction as now. Click Here for your Free App. The Gillies Hill app aims to provide a companion and guide to "Gillies Hill", located in Stirling, Scotland with its many walks and places of interest not to mention its beautiful landscape, protected animals and history.